The team consisting of three experts was directed by the court to report whether the persistent vegetative state criteria was fulfilled and if there was any scope for the boy's treatment. 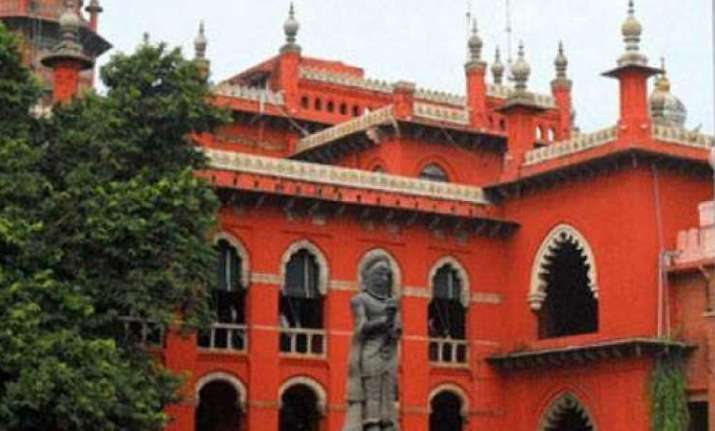 The Madras High Court on Monday directed a medical expert committee to examine a nine-year-old boy, whose father had made a plea for his passive euthanasia. The court had earlier appointed a three-member independent panel to suggest experts to examine the boy. When the petition came up before a division bench, comprising Justice N Kirubakaran and Justice S Baskaran, the panel suggested the names of the experts. They included Dr N Thilothammal, professor of paediatric neurology (retd), Dr T Ravichandran, Director, Institute of Social Paediatrics-Government Stanley Medical College and Hospital, and Dr Bala Ramachandran, Chief, Paediatric Critical Care Unit, Kanchi Kamakoti Childs Trust Hospital, Chennai. Approving the committee, the bench directed the Director, Tamil Nadu Government Multi-Super Speciality Hospital, Omandurar Government Estate, to provide all facilities for testing the child and provide other facilities to the experts. It directed the expert committee to examine the child as early as possible and to report "whether the state of the child is treatable in today's medical field or there is any scope of treatment to reverse the condition..."
The bench further directed the state and central governments to find out as to whether the government itself or any other NGOs can maintain the child, "since the child is having normal respiration and digestion and the only problem is forced feeding and it is different from the other patients, whose condition is critical viz. brain death." R Thirumeni had approached the court, seeking permission to resort to passive euthanasia for his son, who, he submitted, is in persistent vegetative state since his birth on September 30, 2008. The plea is the first such in the country after the Supreme Court in March this year held that the fundamental right to life guaranteed under Article 21 of the Constitution includes the right to live with dignity till the end and it, therefore, includes the right to die with dignity. The petitioner's son T Paarvendhan also suffers from epileptic seizures, caused by a disturbance in the electrical activity of the brain, ranging between 10 and 20 times a day when controlled by medicines. Thirumeni, a tailor by profession, has to spend Rs 10,000 per month to meet the medication expenses. Since all the doctors he has consulted have concurred that there is no scope of recovery in such a case, the petitioner urged the court to permit him to withdraw all forms of food, nutrition and medicine to his son and smoothen his process of dying. On August 24, the court appointed a three-member committee, comprising neurosurgeon Dr Reginald, paediatrician Dr P Ramachandran and chief medical officer of Central Government Health Scheme Dr Uma Maheswari, and directed them to suggest experts within two weeks.